A. From the base. Hike or ski up the downhill slope that comes down to the lower lift station. This is a continuous, somewhat steep uphill. When it seems to top out, then continue the trail into the forest going right (when looking uphill). The trail/downhill continues steeply uphill before reaching the bottom of a (groomed) downhillslope served by a local lift. 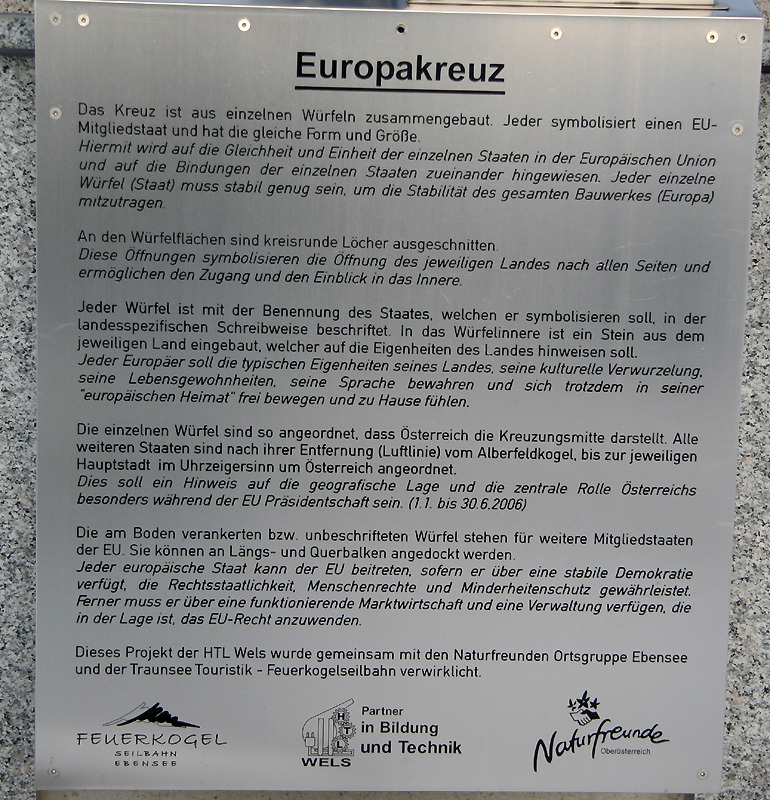 This location is N47:48.540, E013:44.123, elevation 1226m. From the top of the lift (Seilbahn) Taking the gondola avoids a steep climb of the downhill slope and gets you directly to better terrain for cross country skiing. The shortest route to this summit is to traverse the small summit Heumahdgupf, elevation 1680 meter. This top is served by a T-bar skilift. 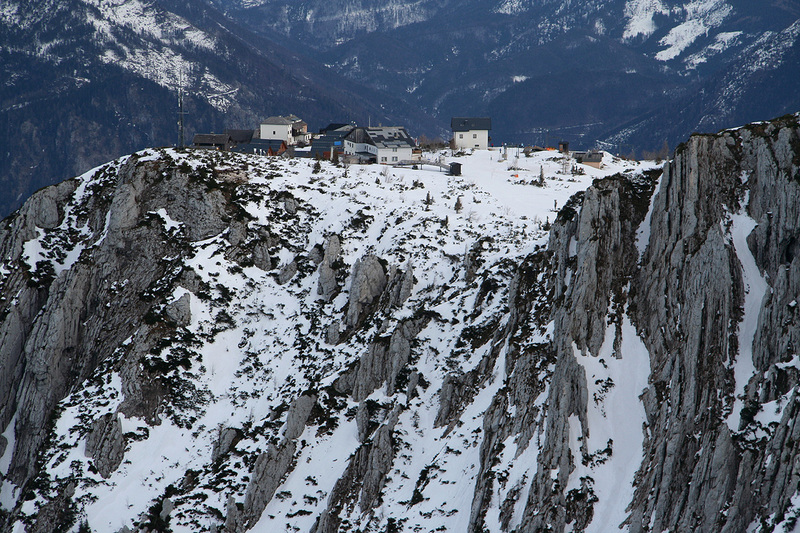 This local hill is located in the continuation of the ridge of the gondola top station. There is only a very minor saddle along this way. 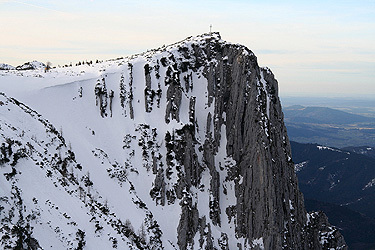 From the top of this skilift, continue a short stretch along the top ridge, then descend right to the saddle that separates this top from Alberfeldkogel. One can ski up along the ridge on your right side (when facing Alberfeldkogel), or take the slope that is further left and first climbs a small subsidiary hump (1693 meter). Either way, the route is straightforward if you have visibility. Beware of the steep cliffs further right if you pick the rightmost route. 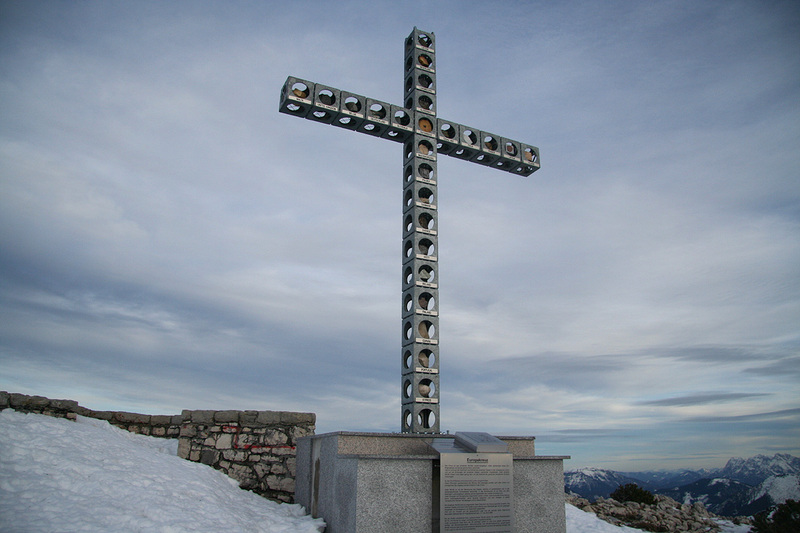 I visited this nice peak on my return trip from climbing Grosser Höllkogel. This is a return route that can be recommended. 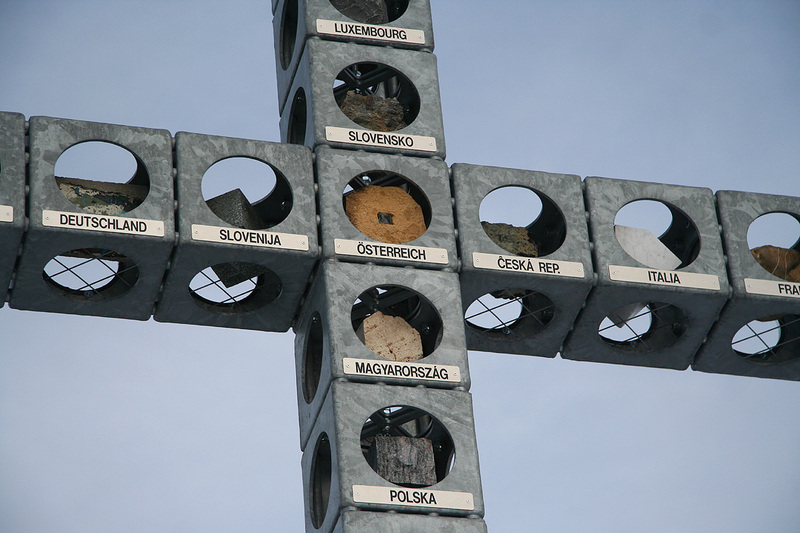 The large cross on the summit is called Europe "kreutz", it has the names of each EU country and a rock from each country is placed in the cross just behind the country name. The view to the flat land further north is very impressive, this peak has a steep rockface, the mountain really ends rather abruptly here. 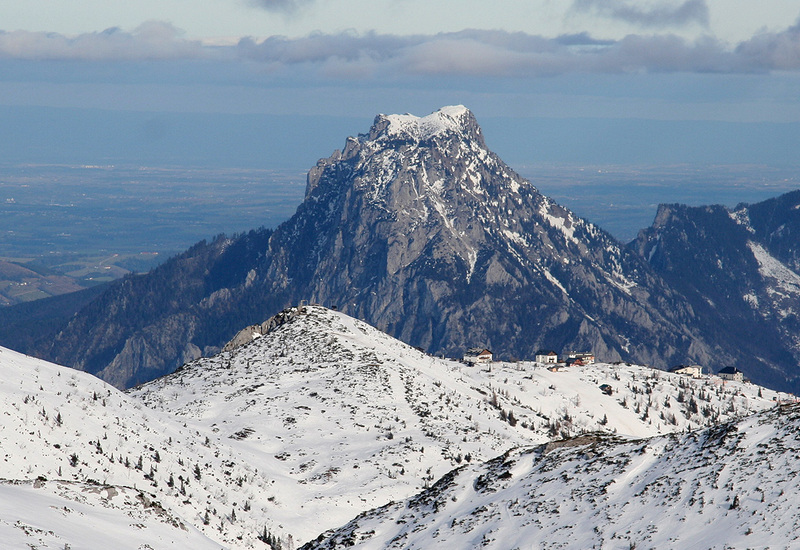 Another peak that stands out is Traunstein (1691m), quite independent while guarding the flat land beyond. 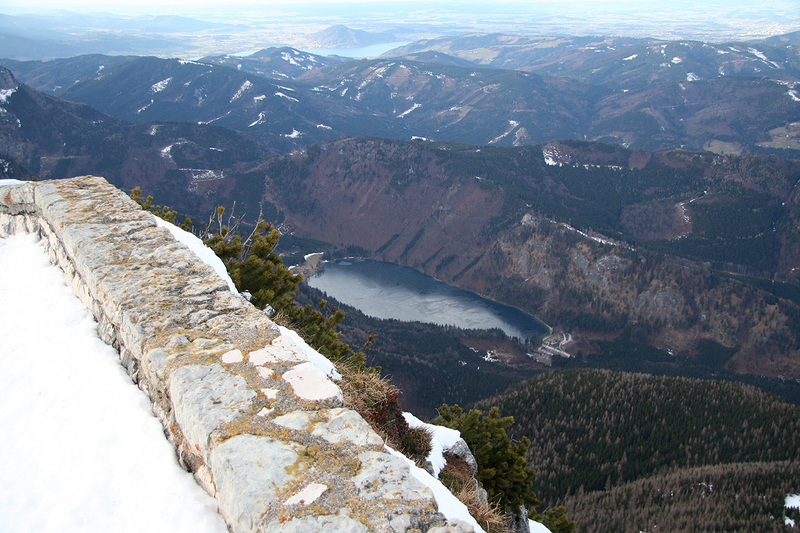 It took me about one hour from the summit of Grosser Höllkogel, arriving at 1510. I left 10 minutes later and traversed Heumahdgupf (1860m), in order to reach the gondola at 1550, well ahead of its 1600 departure. Alberfeldkogel, as seen from Heumahdgupf. 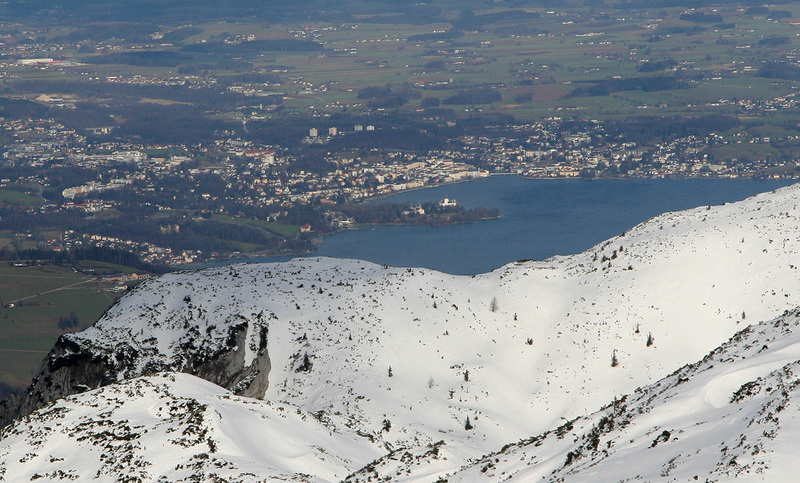 Feuerkogel, the ski area as seen from Alberfeldkogel. 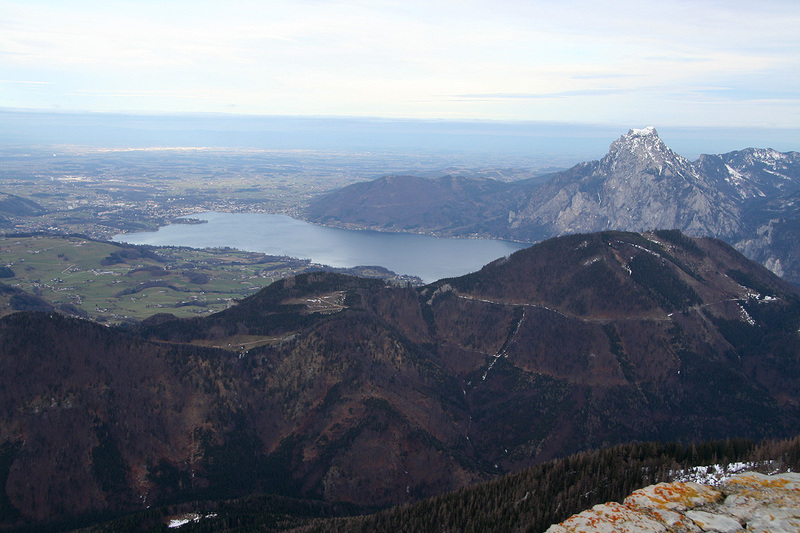 Gemunden, as seen from Alberfeldkogel.